The Mas des Papillons is a renovated old farmhouse that has kept its soul of yesteryear.  Floreal is one of two adjoining cottages in Payrac, close to the Lot/Dordogne border. Sleeping 7, it is an ideal base for visiting Rocamadour,Padirac and the Quercy bastides. Garden and pool. Welcome to the 3 Star Rated “Gȋtes de St Christophe”, a haven of peace and tranquillity for all holiday makers, located in the UNESCO World Heritage village of Les Eyzies-de-Tayac in Dordogne. 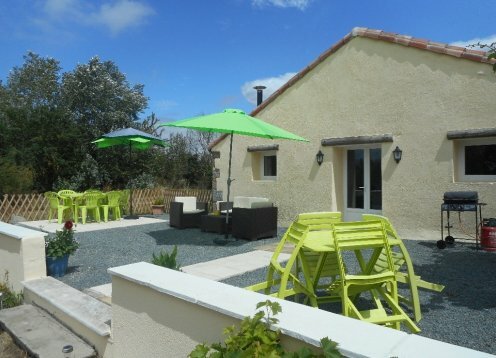 Au Marcassin Comfy gite, ideal for walkers, cyclists, country lovers. 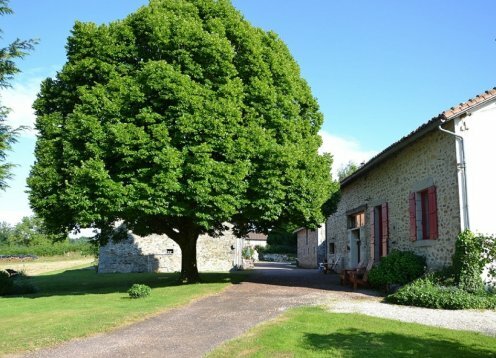 In a quiet rural area, this gîte is ideal for a peaceful holiday away from the bustle and pressure. There is plenty to see and do in the area and Puy du Fou and Futuroscope are great days out. 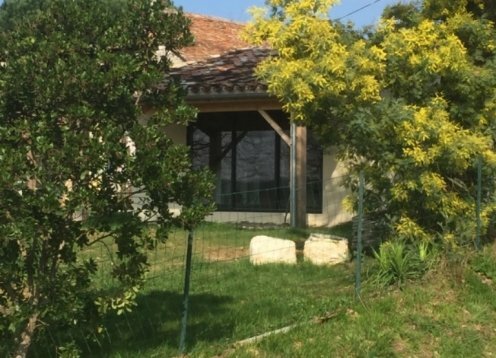 Germinal is one of two adjoining cottages in Payrac, close to the Lot/Dordogne border. Sleeping 5/6, it is an ideal base for visiting Rocamadour,Padirac and the Quercy bastides. Garden and pool.